Xumo has jumped in to clarify some details reported by Cheddar today that T-Mobile was working with the streaming company on a free, ad-supported mobile TV service that would come pre-installed on a selection of smartphones. A T-Mobile official has since vouched for the way Xumo characterized how this new offering will come together. Still, this "snackable" video arrangement does appear to deepen the ties between T-Mobile and Xumo, an OTT service that provides access to a broad array of ad-based streaming channels (including Cheddar) on several smart TV platforms, Web browsers and mobile platforms. Back in 2017 prior to getting acquired by T-Mobile, Layer3 TV struck up a deal to integrate Xumo on set-top boxes for its in-home pay-TV service. 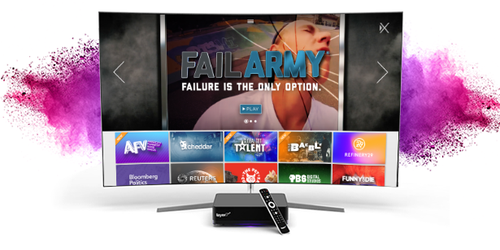 At the time, Layer3 TV was the first MVPD to integrate Xumo on the set-top box. Via a deal struck before getting acquired by T-Mobile, Layer3 TV has integrated Xumo's lineup of OTT-delivered video channels on its in-home set-top box platform. The latest round of speculation surfaced today as T-Mobile's grander strategy around video and pay-TV continues to form.